Even if products are not free flowing, have an abrasive effect or have moist and adhesive properties, the Ball Segment Valve is the right choice as a reliable, vacuum and pressure-tight process valve. 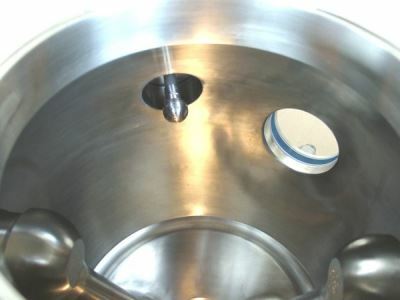 The internal corner-free and edge-free housing does full fill your cGMP requirements and leaves the ball segment sufficient space to move clear of the product flow path when opened. 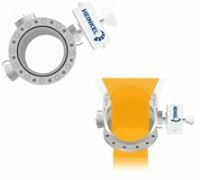 A reactor agitator or mixing tool can be designed to move within a few millimetres of the Ball Segment Valve virtually eliminating dead-space in the process area. Besides the standard flanges, the BSV can be equipped with tailored and non DIN flange connections to suit most existing reactor vessels. Before the ball segment turns for opening, the elastic inflatable seal retracts into its protected mounting position behind the scraper ring. This type of design means that the seal is subjected to almost no share forces and has an exceptionally long service life. When opening the ball segment the pressure / vacuum in the reactor is relieved. Thus the pressure is removed from the inflatable seal and it retracts. A time cycle of approx. five seconds allows the elastic sealing material to revert to its original shape. Afterwards the ball segment turns to 90° in the housing, while at the same time any deposits built up on the segment scraper ring are removed. The product flows out freely and the ball segment valve can close against the product flow. When closing the ball segment, it is moved into the vertical CLOSED position whereby the seal is pressurised. It inflates within seconds and creates a seal against the spherical ball segment. After the BSV is closed where approriate a vessel can be changed. The heart of the Ball-Segment-Valve is the inflatable seal. By inflating the seal, the narrow gap between the segment and the scraper ring at the housing will be closed. Encrusted deposits on the segment are broken off and removed by the scraper ring before the segment does pass the seal. 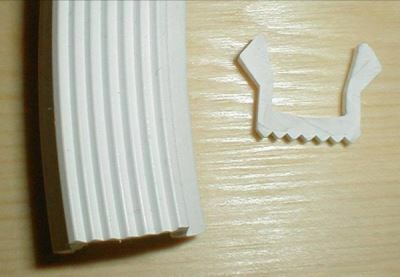 The scraper ring also prevents entering of larger particles into the area of the inflatable seal.